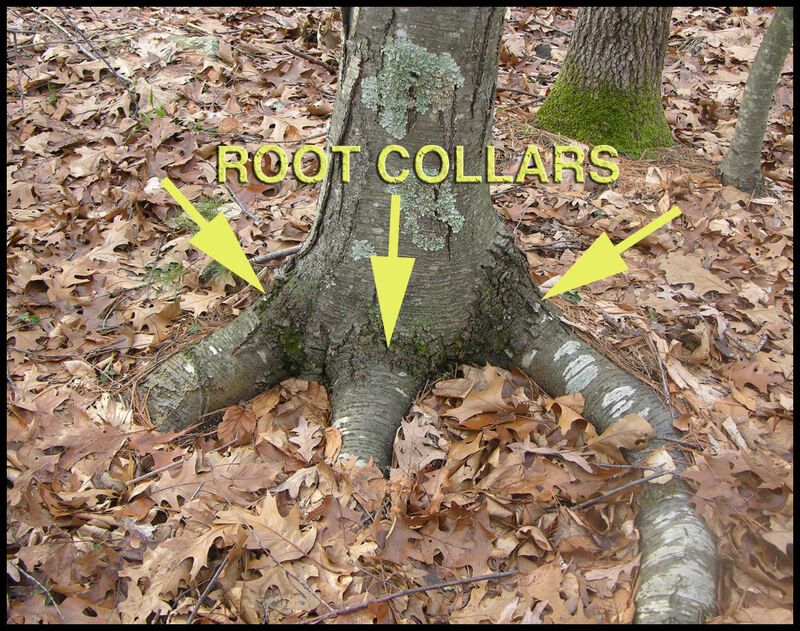 Root Collar - This appears to be some sort of root collar. 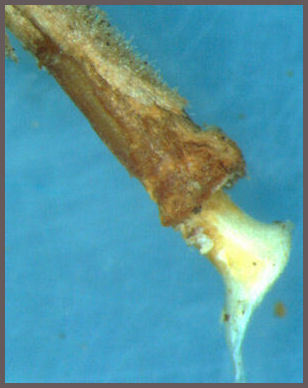 Woody roots pull apart the opposite way that a branch does at the branch collar. Woody roots do not have branch collars or do they form buds. Roots grow from meristematic points and not buds.